There are a few ways you can go about increasing your crypto holdings. You can spot trade: buy low, sell high and make profits. You could do margin trading and use leverage to secure some gains. Or you could just HODL. Lending your assets is a way of giving your holdings a boost. The lending feature on Liquid allows you to lend out your assets to margin traders. Besides getting your loan back in full, you also get interest, paid directly into your account. It’s a great way to increase your holdings while you are waiting for your next move, especially if the markets are in bad shape. 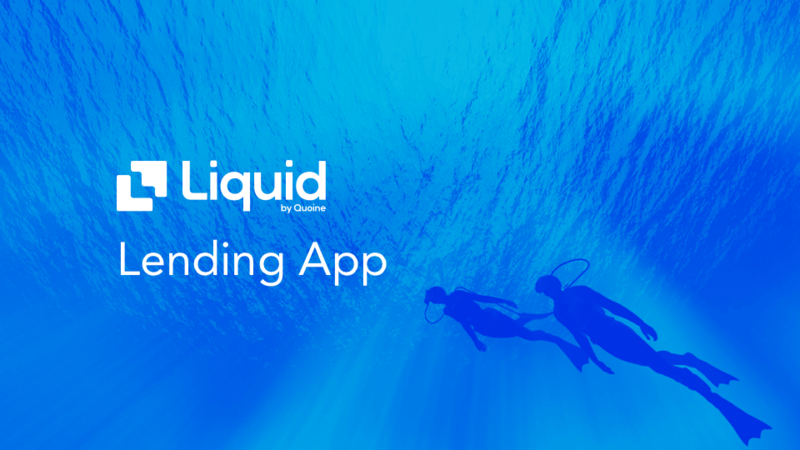 If you are looking to hold your cryptocurrency on Liquid, check out the Liquid lending app, where you’re also able to lend fiat. To begin the lending process, firstly log in to Liquid and head over to the lending page by clicking on "Lending" on the top left of the home page. Now you can choose the currency that you would like to lend, or you can just view the open lending offers. Once you have chosen your currency, you will see the lending offers below. When you are ready to lend your holdings, make sure you have selected your currency of choice and then click on “Create An offer”. All you have to do is enter the amount of interest you would like to receive per day and the amount you would like to lend out. You can see the total funds you have available for lending at the bottom. Keep in mind, your offer is more likely to be filled if the interest rate is lower, but when there is high demand (usually when the market is making a big move), interest rates will normally be higher. Once you have created your offer, click on the offer tab to see the progress of the offer. This will show you your open offers, the amount that has been filled and the interest you have earned by lending your assets.